I have been selling and buying on Poshmark for over 5 years! This site has it all, including high end designer items for incredible discounts! P.S. You can shop my closet here! Get $10 off your first order at Thredup by signing up here! Thredup is a secondhand shopping website that has all kinds of fashion, from big box brands to high end designers. Some items are even new with tags! Get your 1st month of Rocksbox totally FREE with sign up code 'POSHLULAXOXO' on Rocksbox.com! 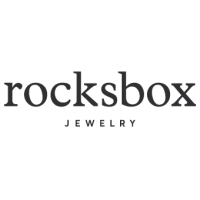 Rocksbox is a jewelry rental service that allows you to rent 3 pieces of designer jewelry at a time, just send back the pieces when you're ready (or keep for a discount!) and get a new set! It's sustainable way to keep your jewelry collection fresh! Get $25 off of any set from Upchoose! Enter code "SUSTAINABLERAINBOW18" on Upchoose.com to redeem! Upchoose is a sustainable baby wardrobe solution that you can read more about in this post. Valid on any set, including new, preloved, full and clothing-only sets.